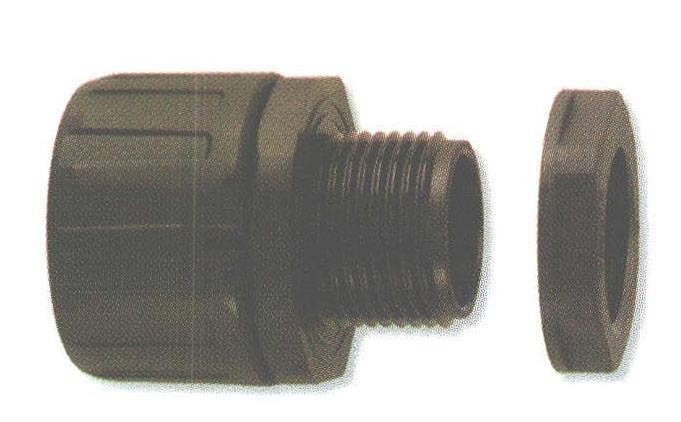 Flexicon Nylon (PA66) Straight NPT Thread Fittings - Bolt Products Inc.
For use with 1/2 thru 2" Flexicon corrugated conduit/tubing. Seven NPT threaded choices for use with seven different conduit sizes. Consult factory for FPAX fittings for use in IP applications.